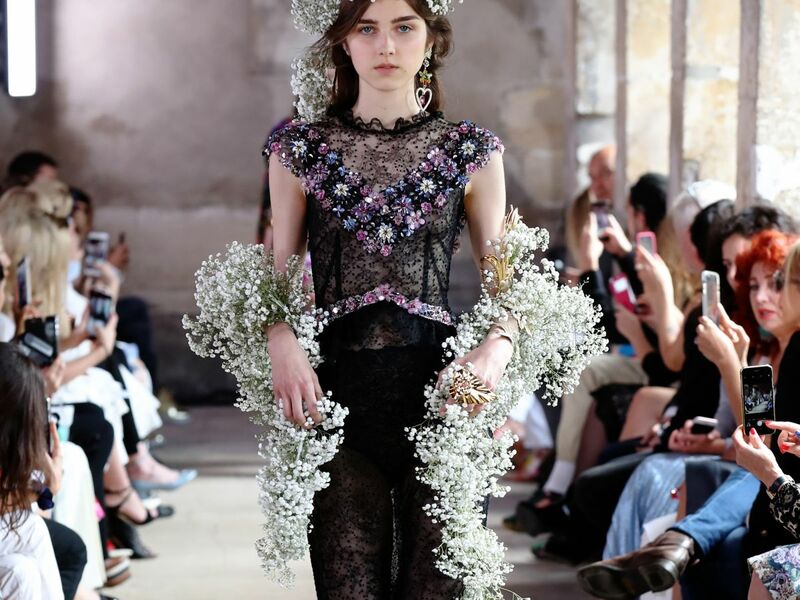 Rodarte’s Spring 2018 collection was shown at Paris Couture Week yesterday, and the clothes weren’t the first thing to catch our eyes. 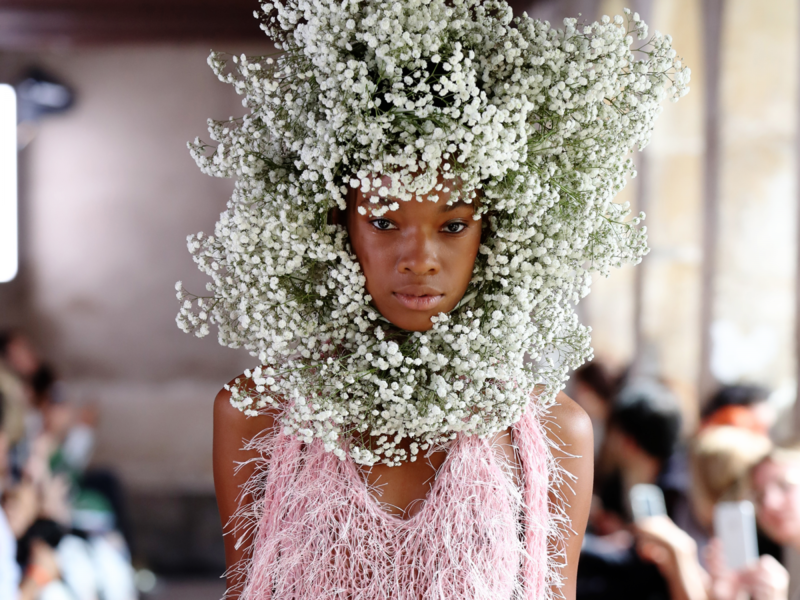 Designed by Kate and Laura Mulleavy, the collection featured shimmering fringe, sheer layers of flowing fabrics, and a dominant floral theme; however, it was the stunning flower crowns that stole the show. The Mulleavy sisters, who founded the now famous fashion brand, Rodarte, in 2006 in their parent’s Los Angeles kitchen, have been on a roll lately. Earlier this year they collaborated with Coach on a limited edition collection which featured handbags, moto jackets, and knitwear. Storytellers through their fashion, the pair took on a new medium this past Spring when they wrote and directed a feature film entitled Woodshock set to be released this Fall. It stars none other than one of the designers’ favorite muses, Kirsten Dunst. The show was the sisters’ design debut in Paris which they say was inspired in part by Robert Altman’s film, 3 Women. When speaking to WWD backstage, Laura Mulleavy described the overall mood of the line to be based on the dreamer, the artist, and the intellectual from the ’70s independent film saying, “We were saying that this is really an evolution of us doing what we do.” Hosted in a 16th-century cloister on Paris’ Left Bank, elements of the 22nd Street Chelsea gallery where the sisters usually show their collections were still present. 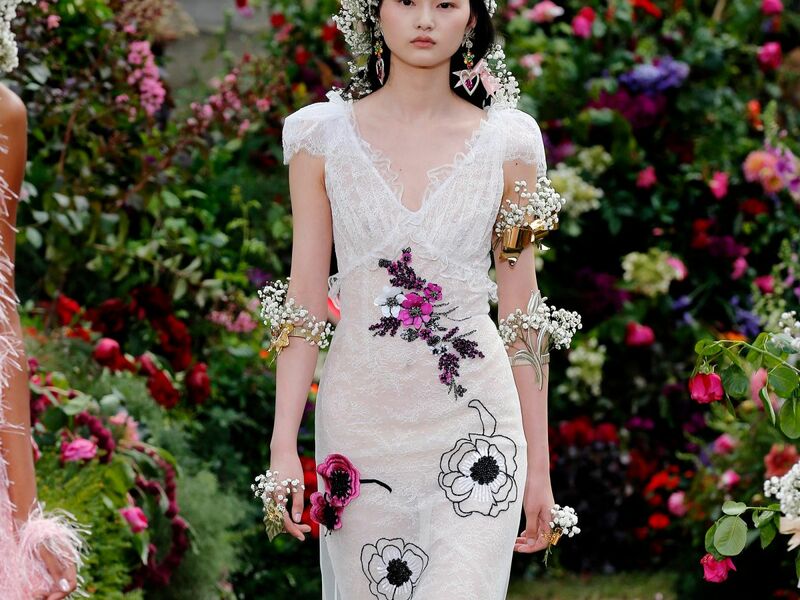 A veritable field of flowers, the collection epitomized an almost fairytale-like interpretation of Springtime.